It’s likely that you have never heard of Tamlee watches. They’re a relatively new brand out of China. That’s not necessarily a bad thing; a lot of Chinese watches are surprisingly well made and are quite accurate. One thing that you’ll find with Tamlee watches is that like a lot of watches from China, they’re quite affordable, making them a suitable purchase for just about anyone’s budget. That doesn’t mean that you have to sacrifice styling, however. They offer some interesting styling features that we don’t usually see in timepieces at their price point. You won’t confuse Tamlee watches with a Tissot or a Vacheron Constantin, but if you’re looking for a nice watch at a price that won’t have you thinking too hard about whether to buy or not, you’ll find them to be a good value. Read on for the full Tamlee watches review. The build quality of Tamlee watches is adequate; they’re not indestructible, but they’re built well enough for daily use. For most of their models, the cases are made from stainless steel. The watch face is protected by mineral glass. Water resistance varies by model and ranges from about 30 to 100 meters, with sports models offering the best water resistance. 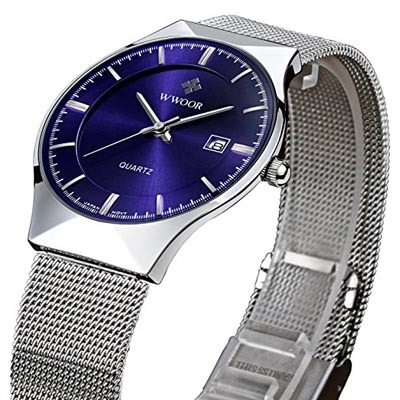 While the watches are made in China, the watches are fitted with Japanese quartz movements from Miyota. Miyota is a division of Citizen, and is one of the largest manufacturers of watch movements in the world. Miyota movements are accurate and reliable, and Tamlee watches claim that their watches are accurate to within 60 seconds per month. For most people, that’s going to be accurate enough. One doesn’t usually see much in the way of innovation in watches offered at the price point where this brand is sold, but in this case, some of their watches have some interesting designs. You won’t find feature innovation, but style innovation is definitely there. The thing that distinguishes a lot of Tamlee watches from their competitors is that a number of their models have cases made from wood. 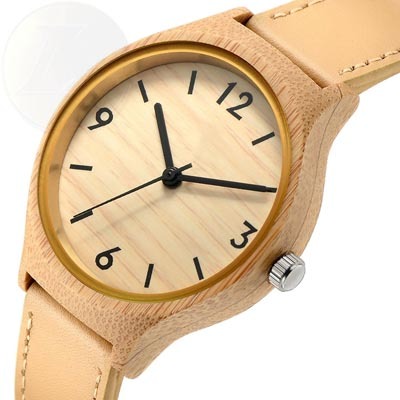 It might be hardwood or perhaps bamboo, but wooden cases in watches are a bit unusual, to say the least. That said, they make for some interesting watches, and if you’re looking for something different, it’s a good place to look. This brand offers an interesting mix of typical, simple, and unusual. For the typical, you’ll see a number of models with chronograph features, as chronographs are big sellers among all brands that offer them. For simple, you’ll find a few models that offer a sleek, austere look with a relatively thin case and a steel mesh strap. If you like a watch that isn’t terribly “busy” looking, you’ll likely find a few models in the product line that suit your taste. Then there is the unusual, which would be the models that feature wooden cases. These are ideal for casual wear. While all of the watches are quartz powered, some have analog displays, some have digital displays, and some have both, so you should be able to find something that you like in the product line. Care and maintenanceis pretty straightforward. As they are all powered by quartz electronic movements, you won’t have to send them in for service. You will need to replace the battery every couple of years. You should keep your watch away from strong magnetic fields and extremes of temperature. You should also try to keep them away from water, as most of the models in the product line do not offer excessive water resistance. With proper care, you should get a number of years of service from your watch. As with many Chinese brands that are sold only through third parties, we can’t seem to find any information about a warranty at a corporate level. Many retailers who sell the brand will offer a warranty of their own. Amazon, for instance, offers a 2 year warranty against defects in materials and craftsmanship with purchase. That’s pretty typical, and far more time than you’ll need to determine if your watch is defective. If you’re looking for an affordable wristwatch, you’ll love this brand. They are among the most affordable watches on the market, and offer one of the rare opportunities to buy an inexpensive wristwatch with some good choices about styling. Most models are priced anywhere from $12-$100, with most of them falling into the $25-$50 range. That makes them affordable for just about anyone and it makes them so inexpensive that you might want to purchase more than one if you see several models you like. If you’re interested in buying, your best bet would be to shop online. It’s possible that a few brick and mortar stores carry them, as we know that Sears sells them. You won’t find them in jewelry stores or in most dedicated watch shops, as they fall below the price point that would interest most such stores. On the other hand, a number of online retailers carry them, and that’s where you’ll likely be able to get your best deal on discounted models. The company does make a number of models, so don’t be surprised if not every retailer carries all models. That said, most large retailers, such as Amazon, should stock a good representative sample of the overall product line. We were pleasantly surprised to see that Tamlee offers a nice selection of features and some odd designs, given that they are relatively inexpensive as watches go. They offer a good selection of models for both men and women and a nice assortment of both analog and digital models. Their wooden models are quite attractive and affordable; we particularly liked the models with the bamboo cases. They’re suitable for everyday and casual wear and they’re priced so that they’re affordable for everyone. If you want a good, accurate, affordable every day watch, you should give Tamlee watches a look.